West Windsor, New Jersey—The West Windsor Police Department and the Mercer County Prosecutor’s Office Child Abduction Response Team are seeking the public’s assistance in locating a missing five year old boy, David Lundy, 5 years old (DOB May 1, 2007). 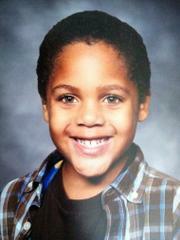 David is described as a light-skinned African American boy, approximately 3’4” and weighing 55 pounds. David was last seen wearing a white and green shirt and blue cargo shorts. He is further described as having short, sandy hair. At this time, David’s grandfather, Morris “Tommy” Lundy, age 50, of New York, is believed by the police to have abducted David at approximately 6:30 p.m. The abduction took place in front of 465 Meadow Road in West Windsor Township. 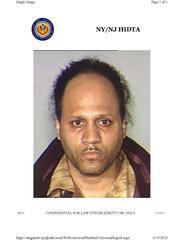 Morris “Tommy” Lundy is described as an African American male, 5’ 10”, 180 pounds, long black hair and hazel eyes. It is believed that Morris Lundy may be heading to New York state. Anyone with information concerning this matter should contact the West Windsor Police Department immediately at 609-799-1222. Call 911 immediately if spotted or contact the West Windsor Police Department at 609-799-1222 if you have any information related to this investigation.